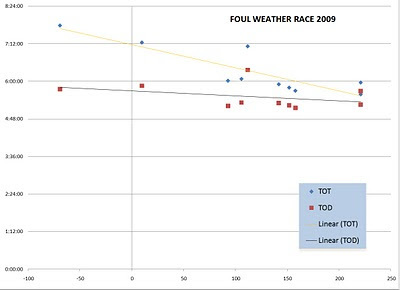 Given that we have now completed all our scheduled distance races for the first half of the 2010 season we decided to take a look at the age old question - which scoring method results in fairer racing in our club - Time on Time (TOT) or Time on Distance (TOD)? 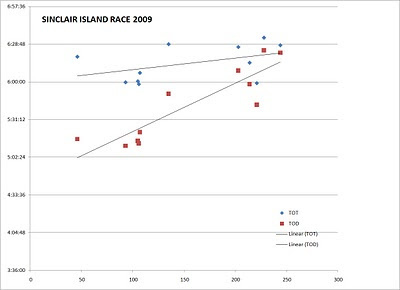 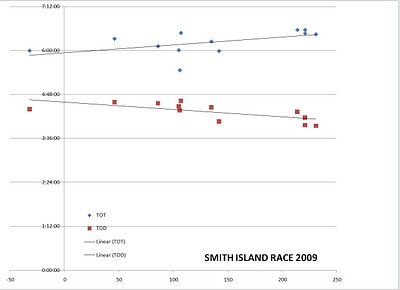 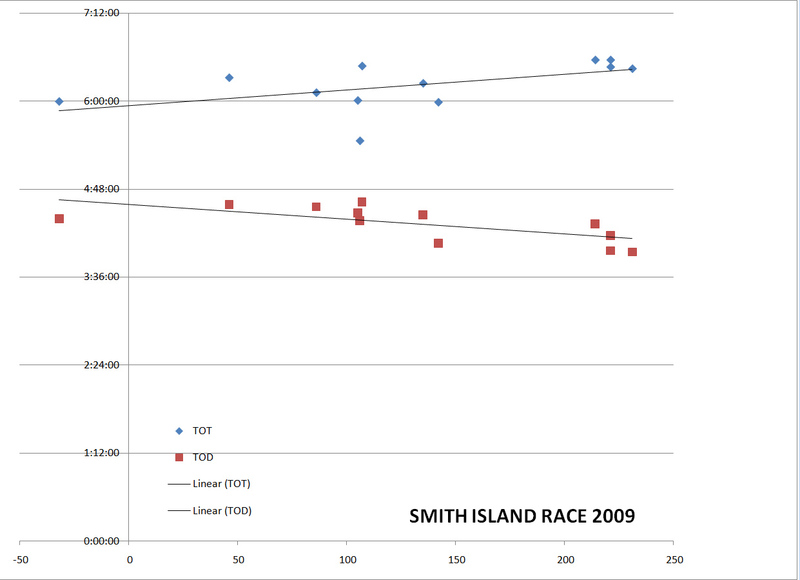 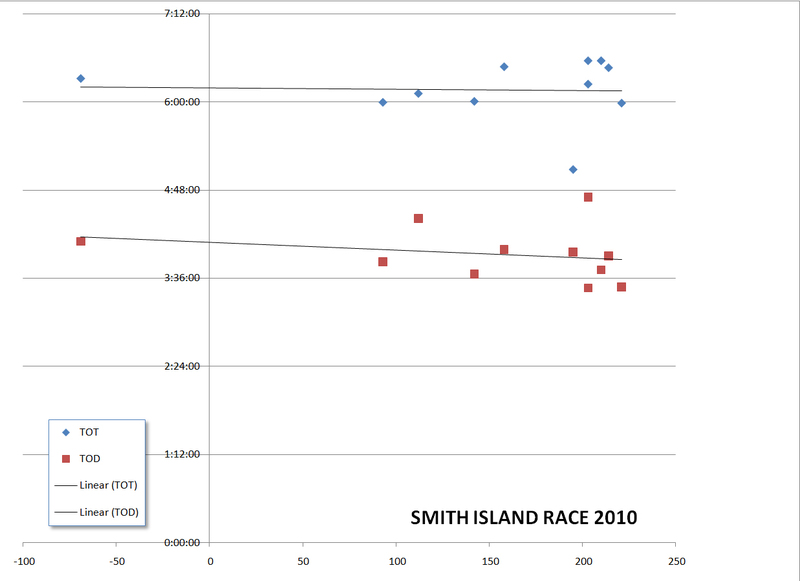 To illustrate the second pattern (where both TOT and TOD favored faster boats), take a look at the following graph from the 2009 Sinclair Island Race. 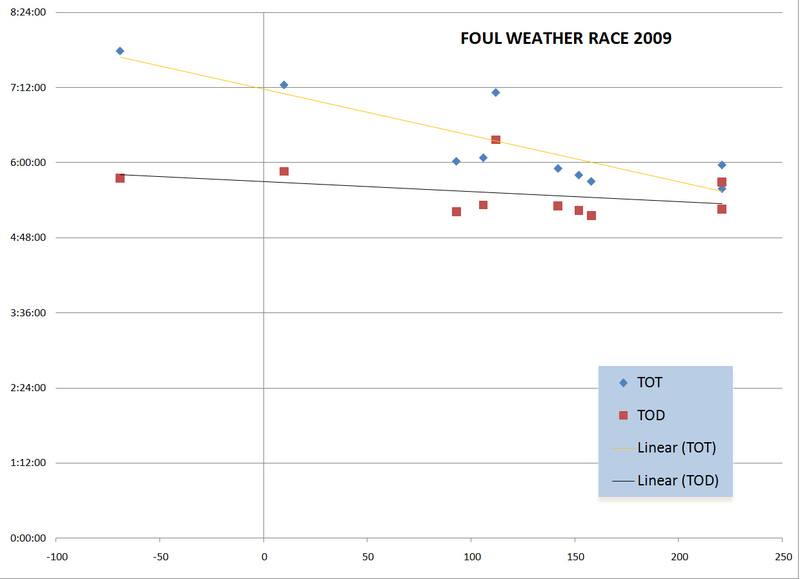 Both TOT and TOD scoring favor faster boats. 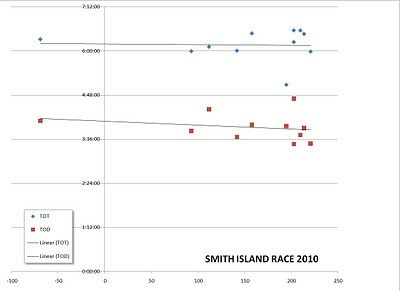 When analyzing these races (all AYC club distance races run since 2007 where more than two boats finished), TOT scoring has an 8.4% bias in favor of slower boats while TOD scoring has an 0.1% bias in favor of slower boats. PS - we will continue to analyze the numbers and give you an update at the end of the season!